The book of Exodus is the retelling of the Jews’ coming into Egypt as guests of Joseph to their flight to freedom from slavery, led by Moses under the direction of God, called Yahweh by the Jews. The parting of the Red Sea to rescue God’s people from the Egyptian soldiers who are then drowned are told in Exodus. Exodus not only contains stories about God’s people, but also His laws and the liturgy the faithful were expected to follow. Exodus tells how the Jews wandered in the desert and God gave them food and drink, and save them from their enemies. Moses received the tablets with God’s laws after seeing the burning bush. The people complained about their plight and “God heard their groaning and He remembered His covenant with Abraham, with Isaac and with Jacob. So God looked on the Israelites and was concerned about them” (Exodus 2:24-25, The NRSV). The Ark of the Covenant and its place in their worship is told. Exodus is written by Moses under the direction of God. In Exodus 17:14, “Then the Lord said to Moses, ‘Write this as a memorial in a book and recite it in the ears of Joshua, that I will utterly blot out the memory of Amalek from under heaven.’” Moses obeyed God, “And Moses wrote down all the words of the Lord” (Exodus 24:4). Although there is some dispute concerning the dates of the writings, it is generally considered to be written between 1440 and 1440 B.C. It marks the departure of the Israelites from Egypt and the beginning of the promise that Abraham and his descendents would live and multiply in the Land of Milk and Honey (Exodus 33:3). The Pentateuch research papers examine the term used to describe the first five books of the Old Testament. 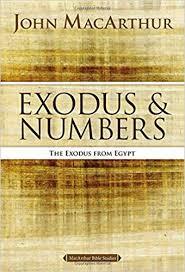 Book of Numbers details the time from the Exodus of God's people from Egypt when they wandered in the desert for a period of thirty-eight years. Books of the Bible: Esther research paper due and don't know how to start it? Let Paper Masters help. The Bible speaks of midwives in Genesis and again in Exodus with the examples of Shiphrah and Puah. New Testament of the Bible research papers focus on the Gospels and other books of the later books of the bible. Symbolism in the Bible - this is a topic suggestion for a religious paper. Abraham Research Papers explore the life of a religious man, that was the founder of monotheism, and patriarch of three religions Islam and Judaism. Research papers on Biblical Matriarchs such as Sarah, Rebekah, Rachel and Leah can be custom written at Paper Masters. Jesus Christ and Ethics research papers report that throughout the New Testament, ethical codes that are overly concerned with proscribing specific actions. Galileo and the Church research papers written as examples for your own research on Galileo and his relationship with the church, Grand Duchess and Catholics. Paper Masters writes custom research papers on The Book of Exodus and discuss the retelling of the Jews’ coming into Egypt as guests of Joseph to their flight to freedom from slavery, led by Moses under the direction of God.